St Mary’s RC Primary School is a small, friendly community tucked away from the hustle and bustle of the city. Our aim is to give every child the best and broadest education within the Catholic faith. Gospel values underpin all aspects of school life. We strive for academic excellence for every child, and expect that all children will leave St Mary’s literate, numerate and with a passion for reading. Music and sport are highly valued and encouraged at St Mary’s. 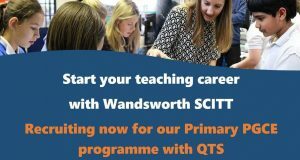 Children are taught through a combination of traditional and innovative teaching methods with a high staff ratio and specialist teachers for Literacy, Numeracy, languages, PE and music. 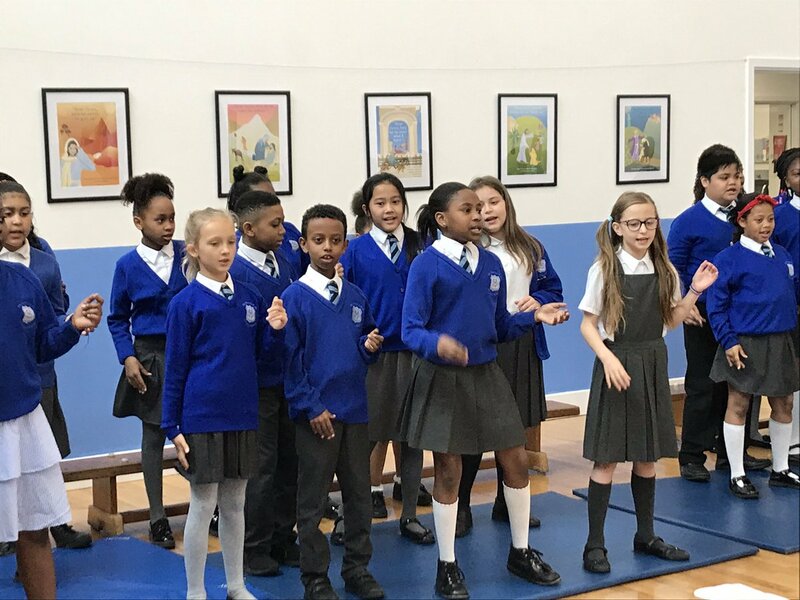 The children enjoy a wide range of sporting, musical and cultural experiences in addition to the core curriculum so that they have opportunities to explore and develop their talents. 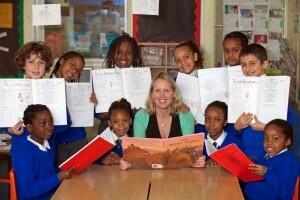 St Mary’s is The Evening Standard’s flagship school for the Get London Reading Campaign. It has revolutionised reading. Children love to read and talk with their Beanstalk volunteers. 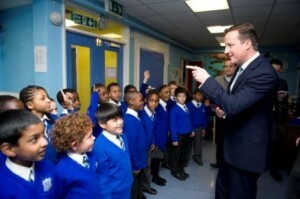 Reading has a high profile right from Nursery Class up to Year 6. As a result of the campaign, children at St Mary’s have enjoyed a multitude of exciting opportunities and visits to complement their learning. 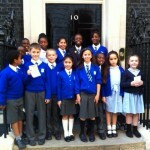 The children have been to numerous theatre productions, had author visits, gifts of books, visits from dignitaries (HRH The Duchess of Cornwall, the Prime Minister David Cameron and Boris Johnson, Mayor of London) and trips to Clarence House and 10 Downing Street. 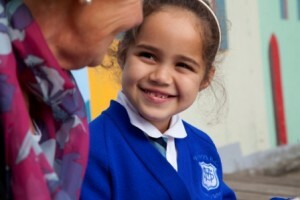 The children at St Mary’s are happy, inquisitive learners, but most importantly they love their learning! British Values are in line with our Gospel Values! St. Mary’s school has joined the government’s National School Breakfast Programme (NSBP), which is being delivered by the charities Family Action and Magic Breakfast. As a NSBP School we are pleased to offer a healthy school breakfast, available to all, and enjoy the benefits that brings, with children settled and ready to learn at the start of the school day.